May 15, 2018 Alex Hall 3218 Views 0 Comments Gaza, Israel, Nikki Haley, U.N. Ambassador to the UN Danny Danon demanded on Tuesday that the United Nations Security Council condemn Hamas for inciting tens-of-thousands of Palestinians to breach the Gaza-Israel border in order to attack Jewish civilians one day after deadly riots left 60 people dead. “Hamas has committed war crimes not only against Israeli civilians but also against its own people – turning them into human shields for their own cynical gain. Every casualty that has resulted from the recent violence is a victim of Hamas’ war crimes,” the ambassador added. He wasn’t alone in his fight! Ambassador Haley has been a steely-eyed killer when it comes to staring down the Russians, North Korea, Iran, and the entire cabal of despots, autocrats, and theocrats that comprise the dubious global body politic we call the United Nations. Speaking to the Council, calmly yet firmly, Haley criticized the United Nations’ tolerance for violence against Israel, asking her colleagues whether they would accept this kind of behavior from any other nation if the target wasn’t the Jewish people, and blaming the terrorist organization, Hamas, for both inciting the violence, and using Palestinians as human shields. “No country in this chamber would act with more restraint than Israel has. In fact, the records of several countries here today suggest they would be much less restrained,” Haley said. 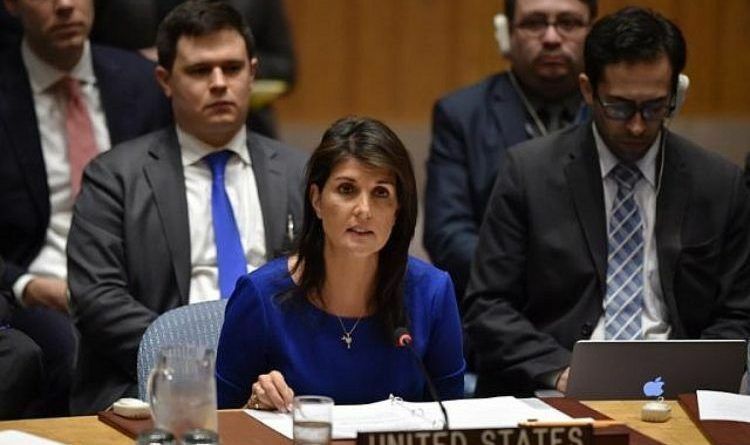 She is the best United States Ambassador to the United Nations I have ever witnessed! (That covers several decades). I am so happy Nikki Haley took this job. She is great and I think she would make a Super President of the United States someday. Give them all Hell and keep telling it the way it should be period. REPORT: New Evidence of Foreign Government Meddling in 2016 Election Finally Uncovered — But it was from the UK – not Russia!